The Guatemalan ancestry originates with the pre-Hispanic indigenous population followed by the traditions of both the colonial and the contemporary era. All the three different populations have merged in this magical country of contrasts. Visitors not only come here for tourism, but also to live unequaled experiences by enjoying the exceptional traditions transmitted from generation to generation, like dance, music and art. Some of the most important cultural and religious manifestations are Holy Week, El Palo Volador, Todos Santos Cuchumatán Horse Racem los barriletes de Santiago Sacatepéquez (giant kites that fly into the sky with messages for the ancestors) on November 1st and the Confradías (Brotherhoods). 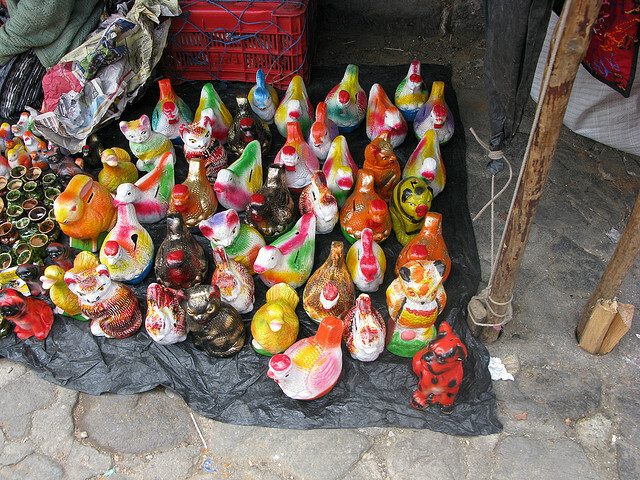 Another aspect of the culture of Guatemala is its handicrafts. You will be able to find a variety of objects and souvenirs made by the hands of artists, and they consider them real works of art. Hand woven colorful textiles, wood carvings, jade and silver jewelry, candles, ceramic, blown glass, leather and many other hand crafts represent the cultural diversity of the country. Don’t miss the chance to enter into the markets in the indigenous villages, especially the Chichicastenango and San Francisco El Alto markets, and the ones located in the villages surrounding Lake Atitlan. Guatemalan gastronomy is a mosaic of colors and flavors with pre-Hispanic roots. Each region has a different dish made from ancestral recipes combining local condiments, fruits and vegetables. The dishes that best represent the Guatemalan culinary culture and have been declared Cultural Heritage of the Nation are Jocón, Gallo en Chicha, sweet and salty Tamales, Torrejas, Buñuelos and typical candies from Antigua Guatemala. On November 1st, All Saints Day, the traditional Fiambre is served.